We are one of the first Conformity Assessment Bodies (CABs) accredited against the requirements of the eIDAS Regulation﻿. 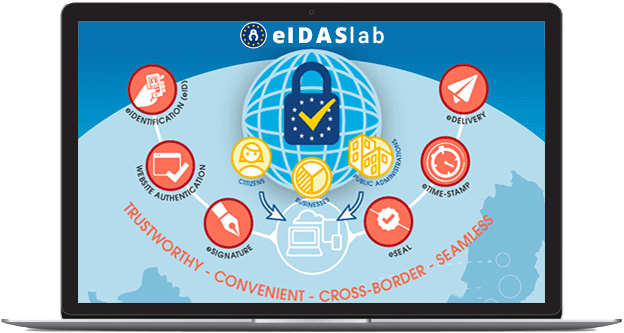 Why to by eIDAS certified? Conformity assessment body as defined in point 13 of Article 2 of Regulation (EC) No 765/2008. 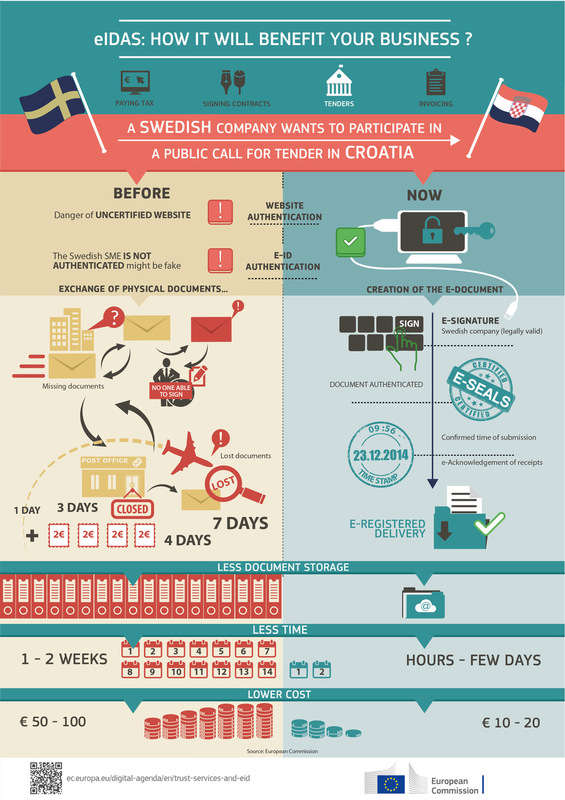 What are the benefits of eIDAS? TAYLLORCOX supports trust service providers with a broad portfolio of services such as: assesment, education and certification under eIDAS, ETSI. The issuance of qualified electronic certificates and validation of qualified electronic signatures and / or qualified electronic seals. What is the eIDAS Regulation about? How is the qualified status granted? What is the value of the Trusted Lists under eIDAS? What are the main differences between qualified and non-qualified trust services? eIDAS is the European Regulation for the electronic identification and trust services for electronic transactions. The new Regulation on Electronic Identification and Trust Services for Electronic Transactions in the Internal Market (referred to as the eIDAS - electronic IDentification and Authentication Services) was published as Regulation (EU) No 910/2014 on 28 August 2014. Most of its provisions took effect July 1, 2016, and repeals the existing eSignatures Directive. (1) An "eIDAS" accredited conformity assessment body assesses the conformity of the trust service provider and the qualified trust service it intends to provide with the applicable requirements of the Regulation. (2) The trust service provider notifies the national supervisory body its intention to become qualified together with the conformity assessment report issued by the conformity assessment body. The conformity assessment report must prove the compliance with the requirements of the Regulation, and not with standards. 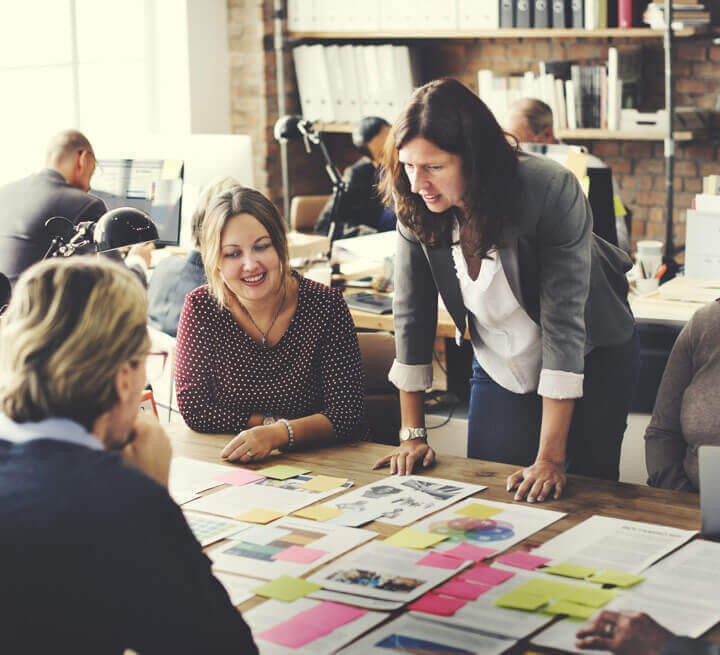 Standards might nevertheless be a tool used by trust service providers to demonstrate their compliance with the requirements of the Regulation. (3) The supervisory body verifies whether or not the trust service provider and the qualified trust service it intends to provide meet the requirements of the Regulation in order to be granted the qualified status. Upon positive verification, the qualified status is granted and the qualified trust service provider, together with the qualified trust service it provides, are added to the Trusted Lists that are established, published and maintained by Member States (therefore at national level, not at EU level). Under eIDAS Regulation, national Trusted Lists have a constitutive effect. In other words, a provider / service will be qualified only if it appears in the Trusted Lists. Consequently, the users (citizens, businesses or public administrations) will benefit from the legal effect associated with a given qualified trust service only if the latter is listed (as qualified) in the Trusted Lists. From a legal point of view, both qualified and non-qualified trust services benefit from a non-discrimination clause as evidence in Courts. In other words, trust services cannot be discarded by the judge only on the ground that they are electronic. However, because of the more stringent requirements applicable to qualified trust service providers, qualified trust services provide a stronger specific legal effect than non-qualified ones as well as a higher technical security. Qualified trust services therefore provide higher legal certainty and higher security of electronic transactions.